Wind damage from Cyclone Idai in Zimbabwe has been compounded by flooding. LOUISVILLE — Presbyterian Disaster Assistance is responding to a catastrophic natural disaster in Southern Africa affecting hundreds of thousands of people. 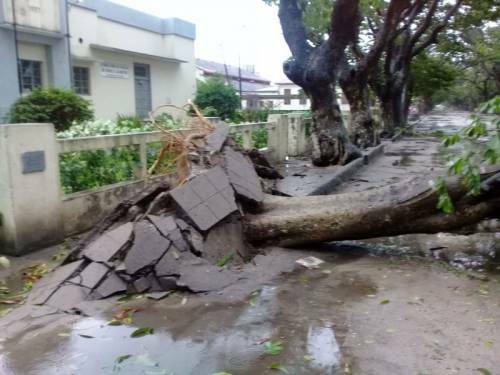 On March 15, Cyclone Idai made landfall in Beira, Mozambique, and cut a path of destruction through that nation and neighboring Zimbabwe and Malawi, causing widespread storm damage and flooding. More than 1,000 people have already been reported dead, according to Presbyterian Disaster Assistance (PDA) Associate for International Disaster Response Luke Asikoye. There are fears the death toll will rise significantly. Complicating the desperate situation are additional rains that have been falling in the region, adding to floods and swollen rivers in Malawi, putting more than 350,000 people at risk, according to numerous news sources. Rains this week have added to the flooding by Cyclone Idai. Click here to donate to Cyclone recovery in Southern Africa. 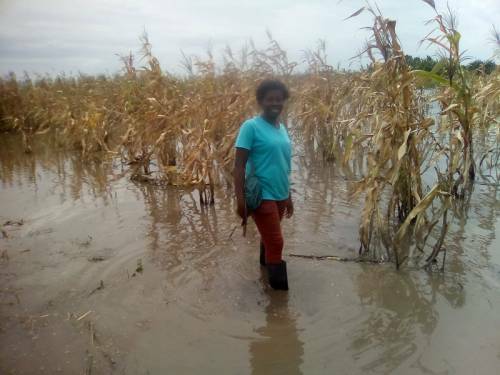 In the immediate aftermath of the storm, Asikoye says PDA is working with ACT Alliance, a coalition of 151 churches and faith-based organizations working in more than 125 countries, to assess needs and direct funds. He says some of the initial focuses will be issues such as controlling water-borne diseases such as cholera and security at shelters for the thousands of displaced people, as well as food and water. Long term, he says PDA expects to be addressing issues such as education, employment, and infrastructure that was destroyed by the storm and flooding. 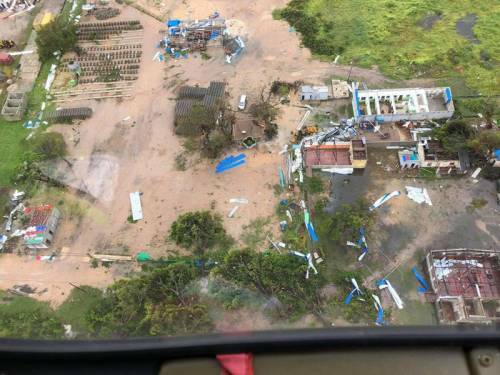 Overhead view of storm damage by Cyclone Idai in Mozambique. The work of Presbyterian Disaster Assistance is supported by the One Great Hour of Sharing Special Offering. Support the offering and PDA’s work in recovery from Cyclone Idai by clicking here.